Now, we will finish with remixes. Initially, this category was not going to be included, but many who read and participate asked for it. I have to admit that remixes are not an area of expertise for me. 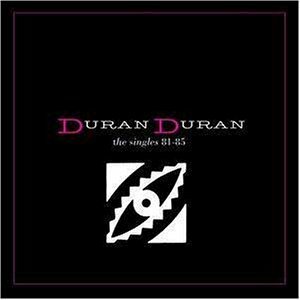 I know lots of Duran info but I have not spent a great deal of time to collect each and every remix and to determine the differences between them. Thus, I did what any good researcher would do. I sought out the band’s official website that includes a list of official version, which you can read here. I am well aware that there are LOTS of remixes out there of Duran Duran songs. I am only going to ask about official ones, as in the ones that Duran has acknowledged and/or released themselves. As I started to create the poll for remixes, I noticed just how many there are out there. In fact, with just looking at the first two albums, there are well over 60 different remixes. Like with other categories with a large number of options, I chose to break off the poll after the first two albums. The rest of the remixes will be asked about in future polls. Because I am not super familiar with remixes, I figured that some of you might not be either. Thus, I created a YouTube playlist of the remixes I could find. On that note, let’s vote on the remixes from the first two albums. Remember that you can and should vote for 7 songs! Congrats on your hard work done so far.